Once upon a time it was death and taxes that were guaranteed. Now it appears pensions can be added to the list as the Government looks intent on pressing ahead in the coming years with plans to introduce an 'auto-enrolment' pension scheme for workers earning over €20,000 a year. In other words, workers will find themselves contributing to a pension scheme whether they like it or not. (You can opt out but it looks like there will be a financial penalty for doing so). Currently, fewer than half of all workers have an occupational or private pension to supplement their state pension. So for those now facing the prospect of being part of a pension scheme for the first time, there are a few things they need to know. Currently at €238.30 per week, or €12,434 a year, the state pension here is relatively generous. However, if you've been earning more than €25,000 a year, a drop to that level of income could represent a struggle. 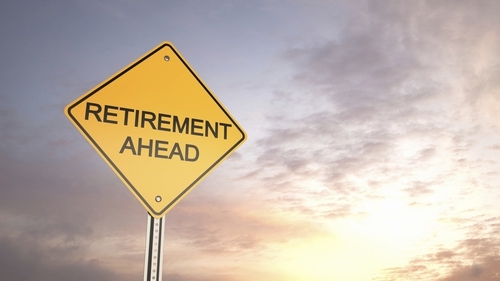 A good rule of thumb is to aim for at least half of gross pre-retirement income. So if gross income on the date of retirement is €60,000, you'd require a pension income of around €30,000 per year. If around €12,000 of that comes from the state, the pension pot would need to deliver €18,000 a year. To achieve that, you'd want to have amassed a cash pile of about €360,000 by the time retirement comes around. 2. Will this be a defined benefit pension? 3. So how intimately involved with my pension do I have to get? It pays to keep a pretty close eye on what's happening with your fund, but it's not something you need to look in on every day. There are four broad asset classes in which your pension will be invested; equities, bonds, commodities and cash. If you're in your 20s or 30s, it pays to have a heavy exposure to equities (stocks and shares). They generally put in the best growth over the long term, but conversely, they can also experience dramatic falls. Most schemes will offer funds with a mixture of all asset classes. As you move into your 50s, it's safest to start reducing your exposure to equities and introduce some lower risk bond and cash investments. As you get closer to retirement, ideally you would be looking at converting to the lowest risk assets to protect yourself against a dramatic drop in stock markets in particular. 4. Do I have to pay the fund manager to look after my pension? The cost of managing your pension is deducted from your fund in the form of management fees. These can be very high so it's important to be aware of how much the fund managers are charging and for what. Frank Conway of the Irish Financial Review and Moneywhizz carried out some analysis of investment funds in recent years and he found that, in some cases, fees can erode as much as 65% of the fund growth over a lifetime of contributions. He calculates that if you paid 10% of your salary (half of that paid by your employer) into a defined contribution fund over 35 years, assuming total ongoing fees and charges of some 3% of all the contributions made (and assuming annual growth of 6%), those fees would deplete up to 65% of your total returns. Someone earning €50,000 could be looking at a loss of €250,000 to €300,000 over 35 years. 5. So who pays out my pension when I retire? There are a number of options to consider when it comes to splashing out on the proceeds of your pension pot. The most common is to purchase an annuity. This is a contract with a life assurance company that will pay you a regular pension income for the rest of your life in return for you paying them a lump sum when you retire. The amount of pension income you receive will depend on a number of factors, most importantly, the size of the lump sum. An alternative option is an Approved Retirement Fund, or ARF. This is a personal investment fund where you can keep part or all of your pension invested as a lump sum after retirement. You can withdraw from it regularly to give yourself an income. It also enables you to pass on the remaining value of your fund to your dependants when you die. An important point to bear in mind when drawing down a pension is that it is treated as income for tax purposes. Depending on your total income at the time, you will be liable to pay tax at the marginal rate - 20 or 40%. You will also pay USC and, up to the age of 66, you will be liable for PRSI on draw downs. 6. When should I start? The best time to start contributing to a pension was when you started working. The second best time is now! The longer you wait, the more you're going to have to put aside each month to achieve a decent return at retirement. That relates not just to the amount of money you put aside, but investing money over a longer period of time will yield a much higher return as the fund rides out successive inevitable peaks and troughs.